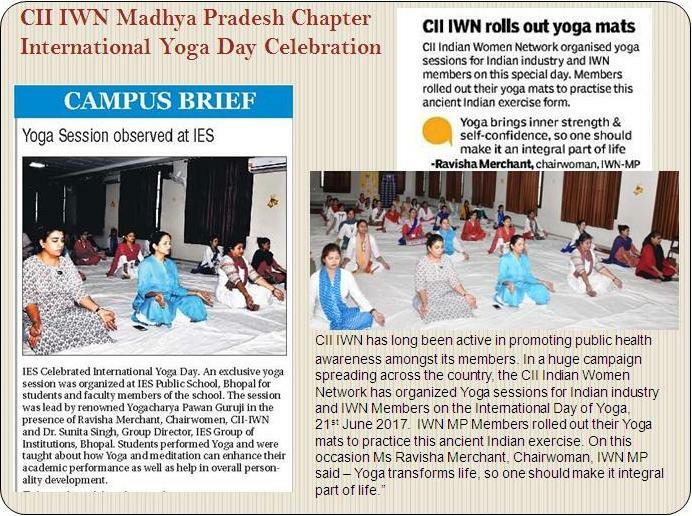 CII Indian Women Network Western Region has long been active in promoting public health awareness amongst its members. 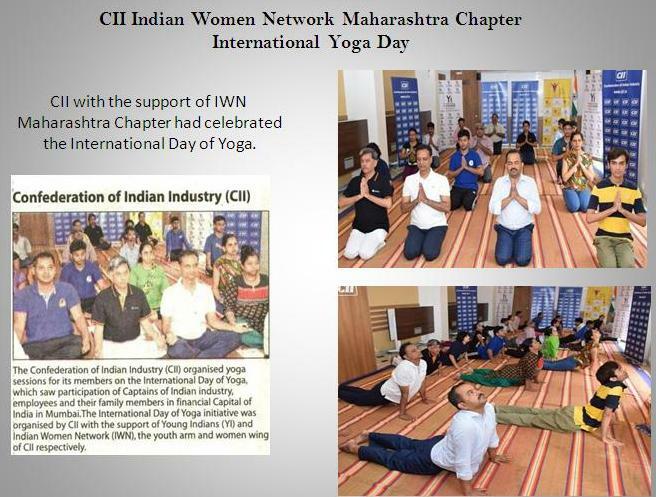 In a huge campaign spreading across the country, the CII Indian Women Network has organized Yoga sessions for Indian industry and IWN Members on the International Day of Yoga, 21st June 2017. 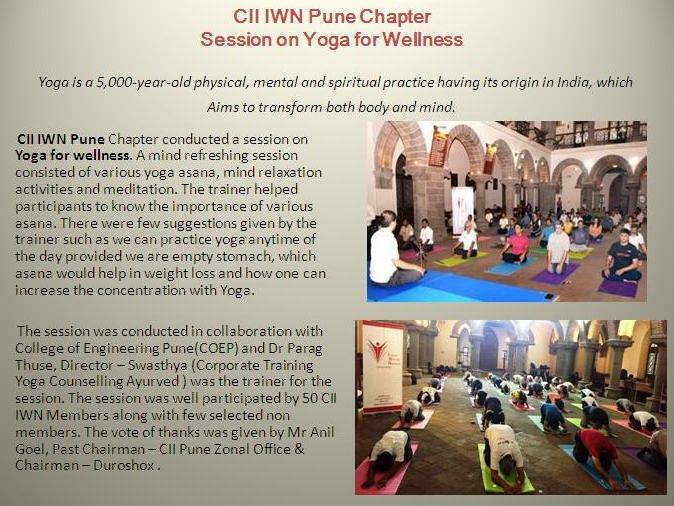 A mind refreshing session consisted of various yoga asanas, mind relaxation activities and meditation. 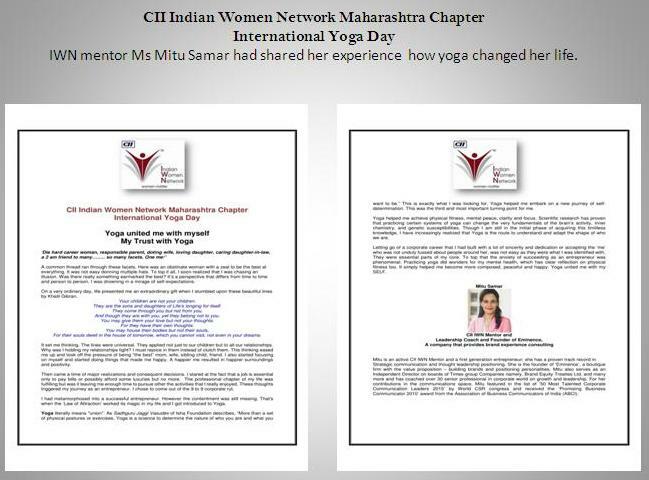 The trainer helped participants to know the importance of various asanas. There were few suggestions given by the trainer such as we can practice yoga anytime of the day provided we are empty stomach, which asana would help in weight loss and how one can increase the concentration with Yoga.